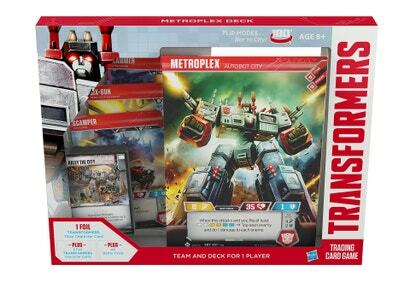 It’s kind of a slow rollout for the Transformers Trading Card Game. There are no pre-built decks, and the card selection at launch is pretty modest, with 81 battle cards and 40 double-sized character cards to collect in the first wave. Later this week, Hasbro will officially launch the Transformers trading card game. It's a pretty straightforward affair. pick a team of bots and bash them against each other until one player is done. 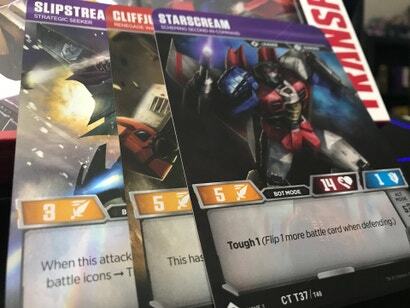 The official Transformers account has been revealing some of the cards and characters over the last week. One of those cards is being revealed right now, but Amanda and I took some time to get hands on with the game as well. 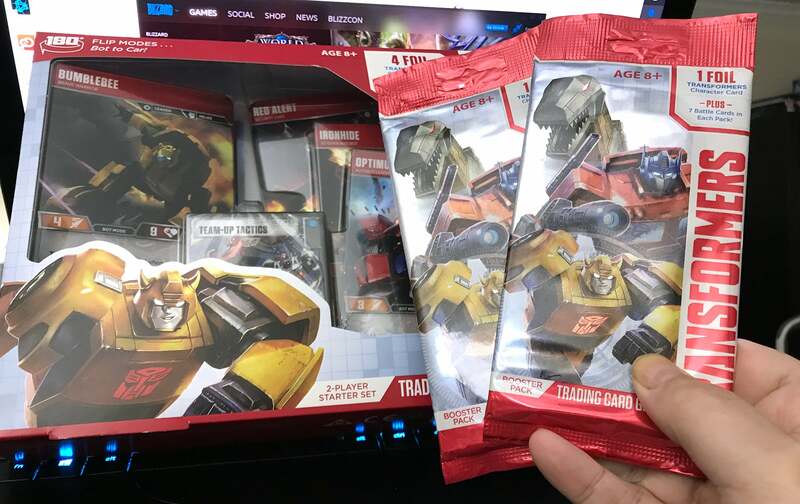 These are found in either booster packs, each containing one character card and seven battle cards, or the Autobot starter pack, which includes four character cards and 40 battle cards, which is enough to give two players a basic idea how to play. The game flow is relatively easy. 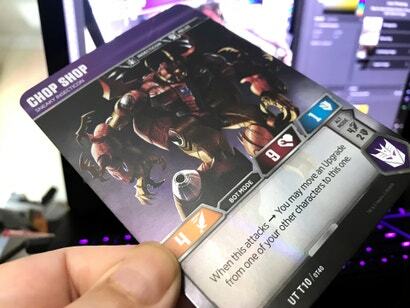 Each player selects two character cards, each with specific health, attack and defence stats. Each turn a player selects one of their characters to attack one of their opponent’s characters. 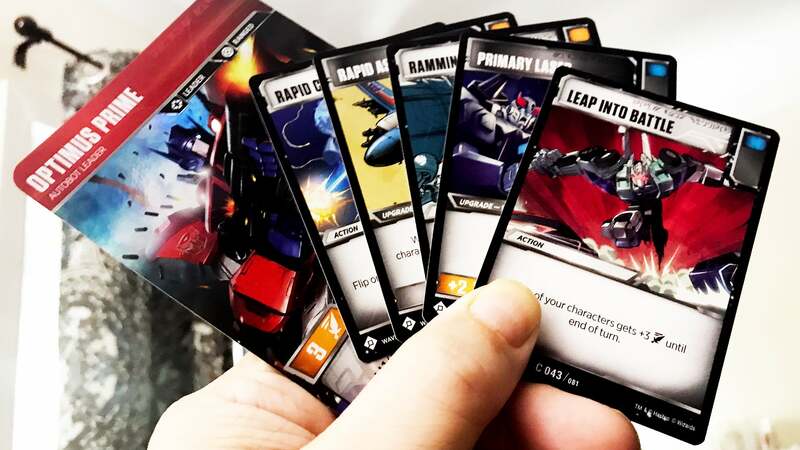 Each player draws two cards from their deck, adding the attack or defence values of those cards to their robots. If the defender’s defence is lower than the attacker’s strength, damage tokens are applied. The winner is the first player to defeat both of their opponent’s bots. Note the alt mode has a little more defence and a different power than robot form. As a bug, Chop Shop loses any upgrade cards placed on him, but salvages those cards into repair for his Insecticon brethren. I smell a bug theme deck cooking. 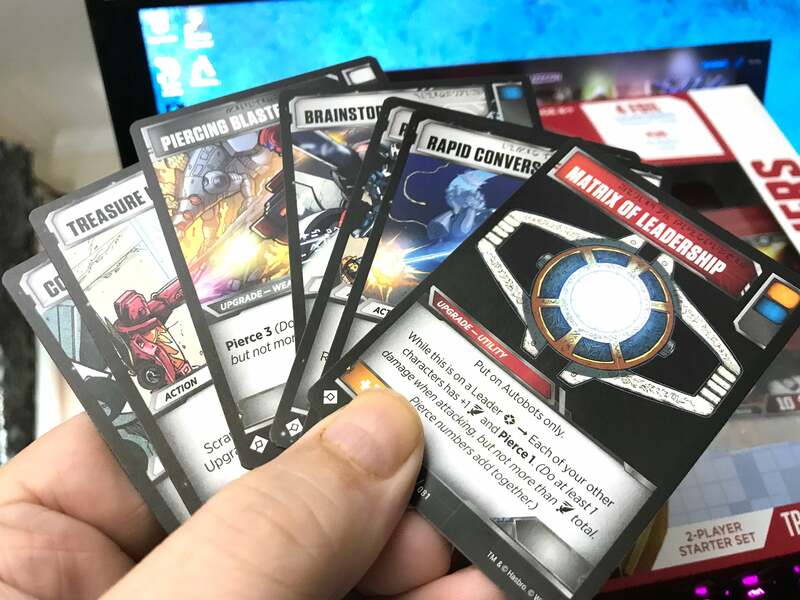 Each turn players also get to draw new cards into their hand, which is full of actions and upgrades. 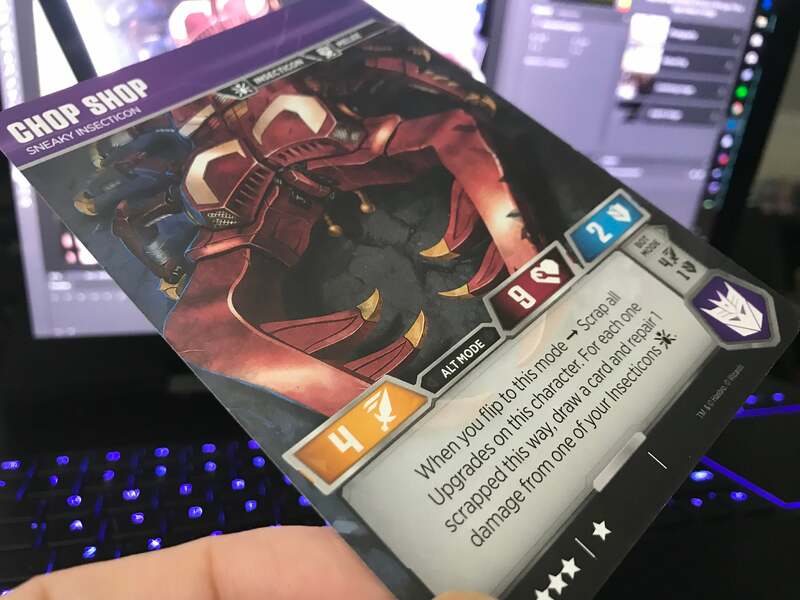 Actions are instant effects (draw cards, scrap cards, repair damage), while upgrades enhance a character’s armour and weapons or add utilities (special abilities). 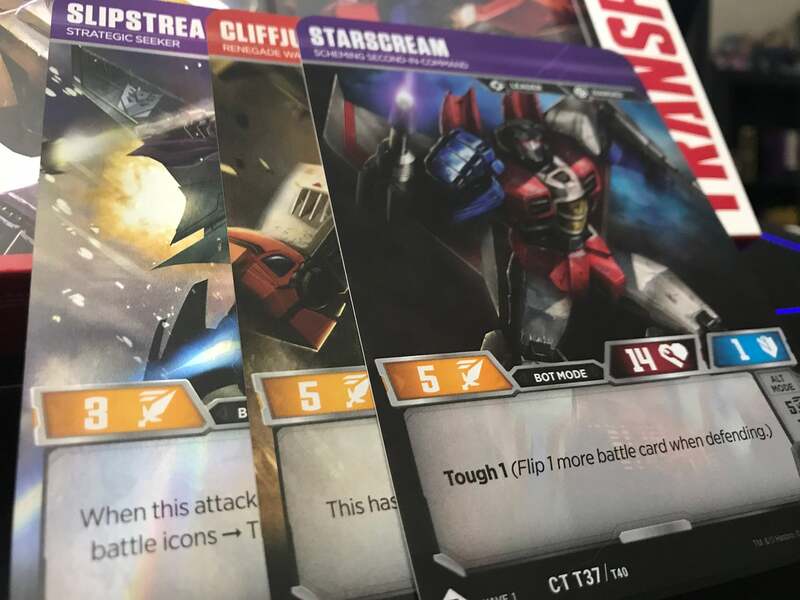 Each player can apply one action and one upgrade per turn, though a character may only have one of each upgrade type at a time. You can check out all of the rules at the game’s official website.